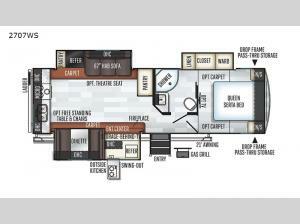 You will enjoy camping in this very spacious Forest River Rockwood Ultra Lite 2707WS travel trailer, with it's three slide outs and rear kitchen layout for easy meal prep. You can choose to make your meals inside, or you can use the outdoor kitchen with a swing-out cooktop, a refrigerator, and even overhead cabinets to store your cooking needs. If you need to escape the sun's rays but still want to enjoy the fresh air then open up the 21' power awning with LED lights for you to continue playing games late into the night. 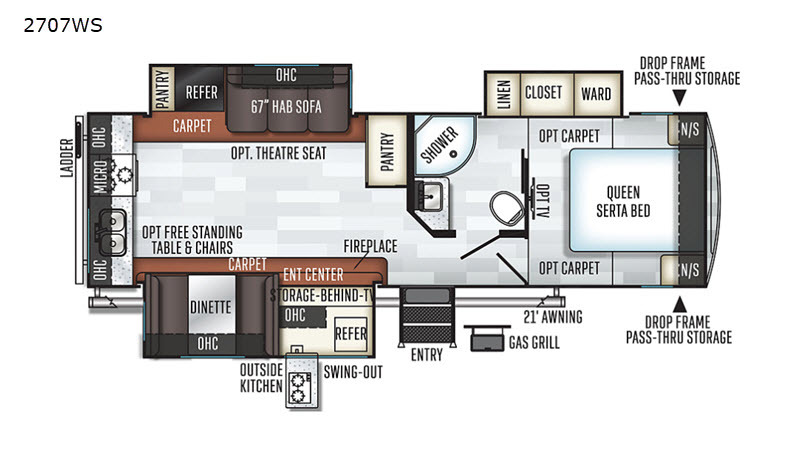 On the interior of this unit there are plenty of storage options with the overhead cabinets throughout the whole trailer, and the two pantries in the kitchen. In the front private bedroom, there is a slide out with a linen closet, a wardrobe, and a regular closet, plus a queen Serta bed for you to get rested up for your next adventurous day!